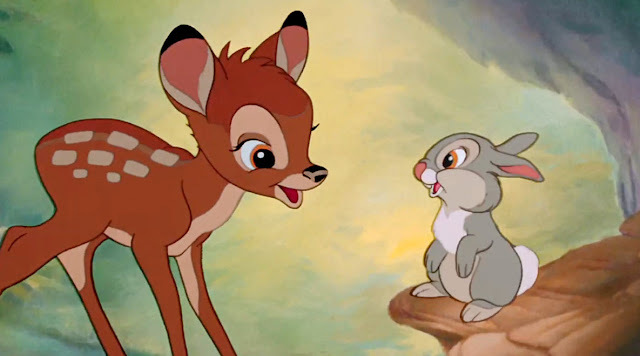 Are you a fan of the Walt Disney classic Bambi? Sure we all are this amazing Disney movie's love has spanned generations and continues to grow. An amazing tale about love loss and family Bambi is one of Walt Disney's greatest accomplishments. The tale has lasted the test of time and the 75th anniversary Walt Disney Signature collection Bambi is being released on Digital HD May 23rd at Disney Movies Anywhere and on Blu-ray June 6th! Imagine being able to talk with two of the original voices in the film, Donnie Dunagan who voiced young Bambi, and Peter Behn, the voice of young Thumper. We also chatted with Paul Felix, a Bambi Walt Disney Signature Collection Disneygraph artist who helped bring the Blu-ray artwork to life. On top of these once in a lifetime interviews we also were very privileged to be able to visit Walt Disney's office, the very place where some of the brainstorming and creative input was made for Bambi. Such an honor! 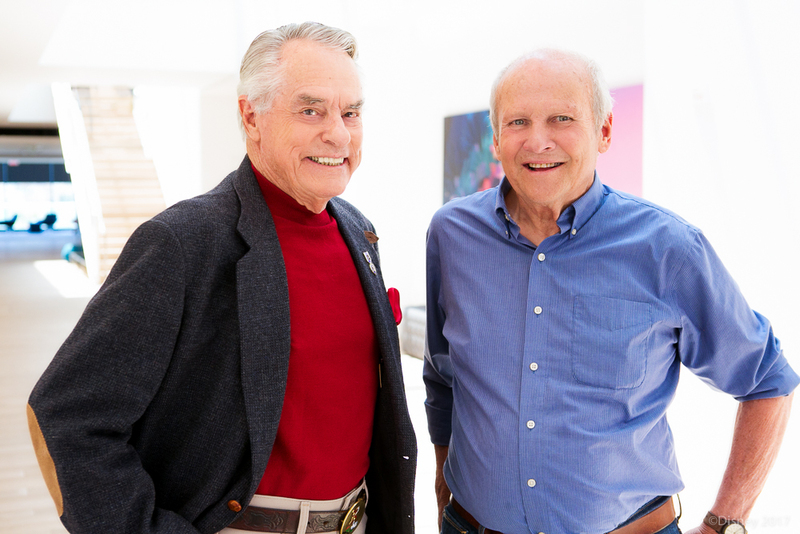 First up was a lovely round table discussion with Mr. Donnie Dunagan & Mr. Peter Behn. We all were wondering how did they get their famous roles? Donnie started in show business when he was 5 and ended the show business career when he was 6.5. He was in a talent contest (which he won) and caught the attention of a movie talent scout in the audience. Then he was off to Hollywood! Donnie made seven films between 1938 and 1941 making his film debut in Mother Carey's Chickens, playing the son of the Son of Frankenstein. Mr. Disney called Donnie’s mom and asked about coming up and becoming a facial model and the audition for Bambi lead from there. Donnie was a little spitfire kid who knew what he wanted, Donnie almost did not end up with the role of Bambi according to Donnie, “We had an agent, he was born with a bad attitude, and was rude to my mother all the time, he did not want us to do Bambi, and I fired him, at five years old I fired him” so even as a 5-year-old kid he knew Bambi was going to be something special. Peter Bern got in the business because of his dad. 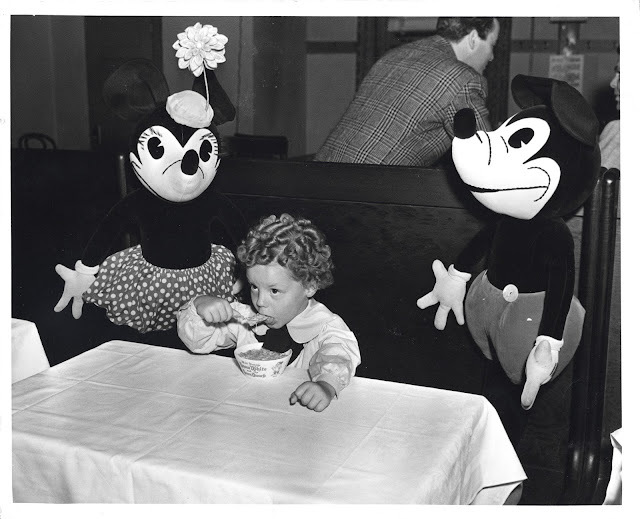 Peters father knew Walt Disney and heard that a new movie was about to be made, and brought peter over for the voice auditions, for the part of Bambi. According to Peter Behn when he auditioned for the role of Bambi, “Donnie beat me out on that one because I had the wrong voice for that part…Later, Frank Thomas, Ollie Johnston decided my voice was right for the rabbit. They referred to the character as the rabbit, there were never auctions for Thumper”. Peter was four years old when the recordings took place intermediately through a two-year period. Did either of these men see the movie much after the premiere? It seems like they really never got the chance to. Back in those days, you watched the movie at the premiere and that was it. These guys never got to see the movie until it was re-released in 1977 and when the film came to VHS. How was it working with Walt Disney? According to Peter Behn “Walt Disney was a busy man, we met him a couple of times, but not on a regular basis” “He showed us the Disney zoo, it was filled with deer, rabbits and other creatures there so the animators actually see the anatomy of the animals that they are drawing… he was a very nice man”. Donnie shared a funny story about when he found out that Bambi was going to be re-released, with the credits! Donnie and Paul’s names were not mentioned in the original film and now they would be. At the time Donnie was a battalion commander and they were going to screen Bambi at the boot camp. Donnie was nervous his fear was if they saw his name they would think “My commanding officer is Bambi!” that is so funny! But I understand, he may not have wanted to be seen as a cute little deer to his men, even though this is pretty cool to say you were that cute little deer. The adorable line Thumper says “Eating greens is a special treat, it makes long ears and great big feet. But it sure is awful stuff to eat". Was a line that Peter Berne made up himself? I can understand how a four year old could think that greens were awful, and it must have been adorable when Peter came up with this line, I am sure this is why it stayed in the film. 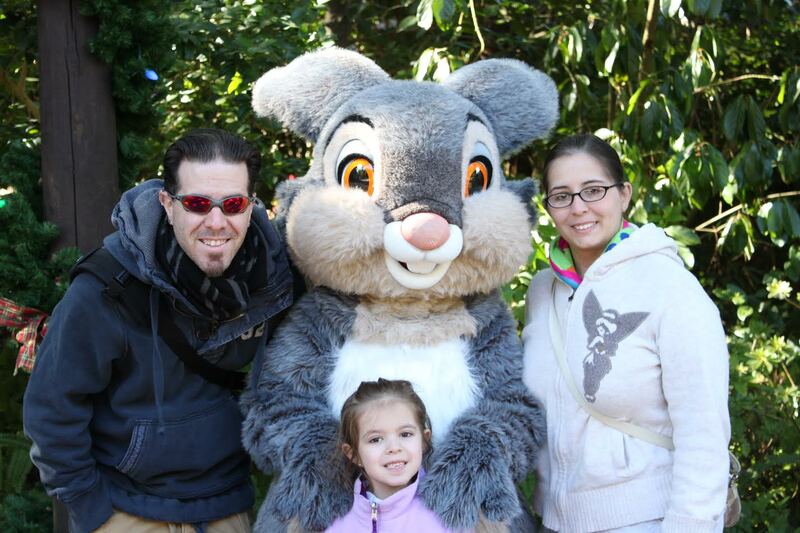 I have a soft spot in my heart for Thumper, he was a favorite as a child for me, and we still love him to this day. Donnie spoke of when he recorded the line “Mother, Mother” (just thinking about this makes me tear up, this was such a moving scene in the movie) how he had to say it again and again because it did not have the sad feeling it needed to have. With the help of the voice coach, saying think that your mother is in trouble and you have to find her call your mother. He was soon able to get the sad feeling in that line we all know. 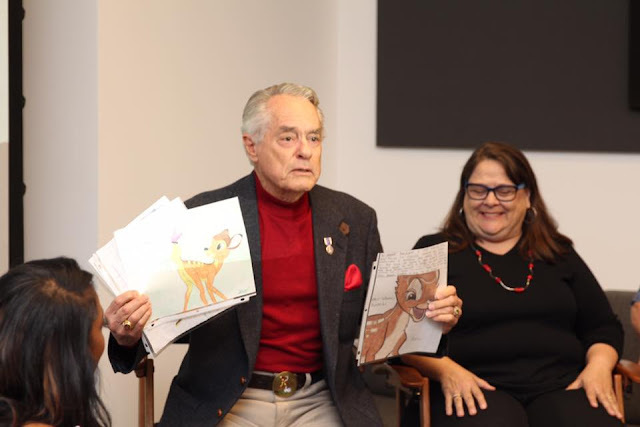 Donnie enthusiastically showed us drawings of Bambi from children that he still gets on a regular basis, from children all over the world… Showing how much the movie is still a part of our lives even after all these years. It was such a great time talking to these two, they were so sweet. 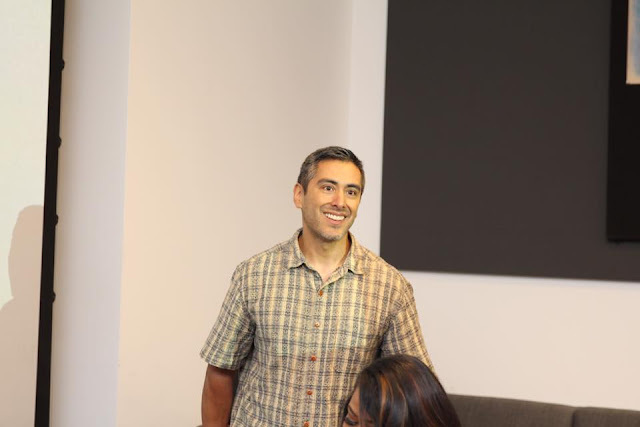 Felix also served as production designer for the 2014 Academy Award®-winning feature film, “Big Hero 6.” Felix was in charge of coming up with a drawing for the anniversary release. He wanted to be true to the classic look of the original inspirational sketch artist that created the look of Bambi Titus Wong, someone Felix very much admired. How many different scenes did you make before deciding on this final one for the lithograph artwork? "I don't have a lot of color area drawing characters, and it always takes a week to get used to it, I did some practice pencil sketches. The first time I tried it ended up different, Bambi looked like a fox!" Well Felix must have practiced quite a bit, because the end result is stunning and looks just like the characters we all love. How did Felix feel about drawing Bambi & Thumper? "It is kind of fun, everyone has a unique take on drawing the characters" How did Felix study the characters before he did his drawing? 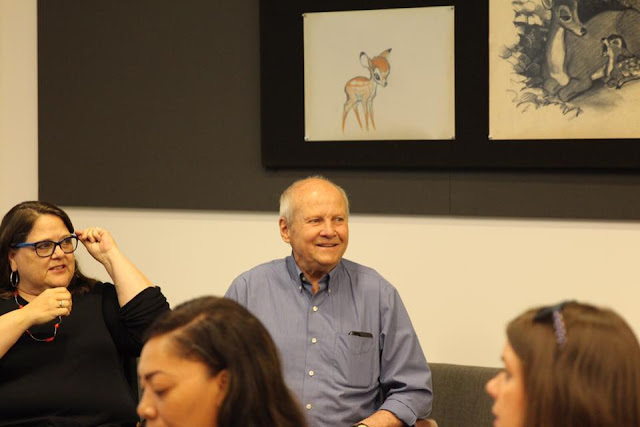 According to Felix, "There were a few art books on Bambi that had some great early drawings, specifically by Mark Davis he could draw (animals) like no one else. Even though it is a flat drawing you can scene the 3 dimensionality of it". If you like this you can get a special edition tank top featuring the Paul Felix art inspired by Bambi! This will be available via Disney Movie Rewards with every digital purchase/redemption of Bambi. Do you prefer a more classic, pen to paper animation or the more digital animation of today. "When I saw Bambi, I really miss the medium and I think I feel an affection for both". 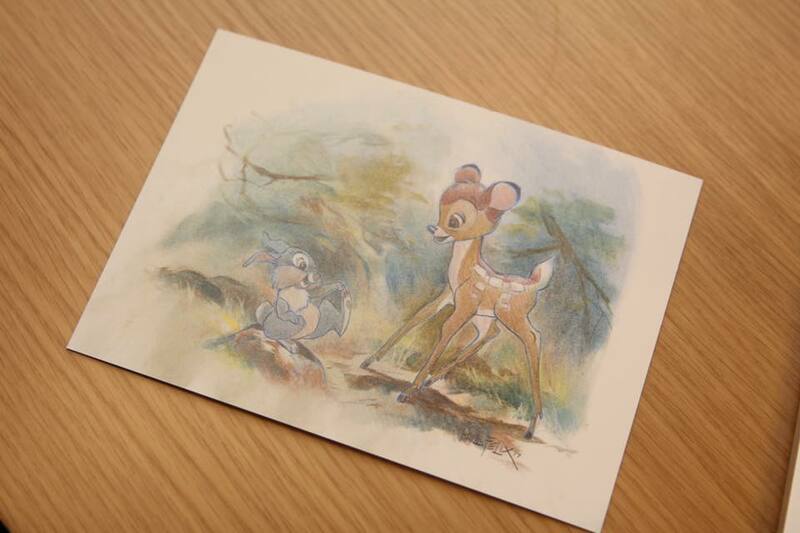 Felix was happy to be a part of Bambi history and I think he did an amazing job on the drawing this is something I would be proud to hang up in my home it is a lovely drawing that has a light watercolor aspect that is beautiful. The office was much larger than I expected with a section for Walt’s secretary, the formal office, and attached to this was an informal office. Why two attached offices? Well Walt wanted one office for more professional meetings, an office that would stay clean and tidy. The more informal office looked similar but Walt Disney liked to have a separate space to have the art strewn around and prices of whatever he was working on around the office. Most of the office is authentic. Of course, there are items that could not stay in the office such as donated items and wants Oscars that are currently in the Walt Disney family museum. In December of 1966, the office was locked and packed up the office with the desire to turn into an executive wing. 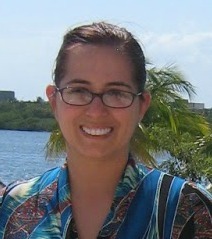 For the 50th anniversary, the offices were moved to Florida area for exhibits. In 1970 the Disney Archives were started, it was then Dave Smith first cataloged Walt Disney's office. He wanted to preserve Walt Disney's office, by cataloging and taking pictures of everything so all would know exactly how Walt left it, even down to the books on the bookshelf they are exactly how Walt left them. The office was filled with nick knacks and things that Walt loved, including quite a few model planes. Some odd items that must have meant something to Walt, like this butcher cleaver man, the note says Merry Christmas to Walt, so it was a gift of some sort. It is odd but cool. There was even a kitchenette, not something I would have expected in an office, but hey when you were a busy guy like Walt Disney having a little place to grab a quick snack would have been a must. There were plenty of places to sit and lounge. Of course, many photos of Walt’s family adorned the walls and the desks of the offices. There was even a full-size piano, I could just imagine Walt sitting by the piano while the Sherman brothers sang him one of their soon to be hit songs. 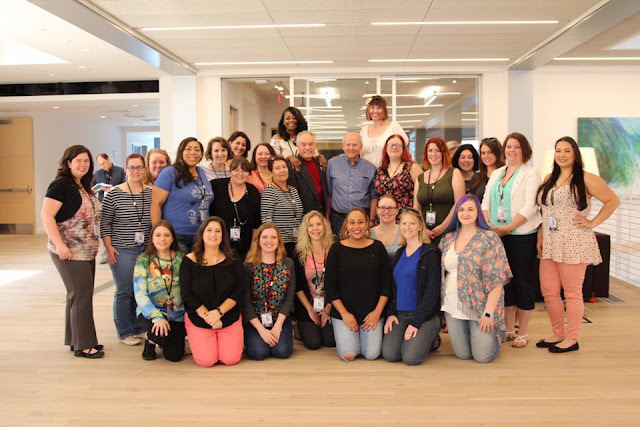 This was a once in a lifetime opportunity and I was privileged to take a peek in this historical office where Bambi and so may other Disney classics were hashed out and came to be! Be sure to check out the 75th anniversary Walt Disney Signature collection Bambi this will be available Digital HD May 23rd and Blu-ray June 6th! 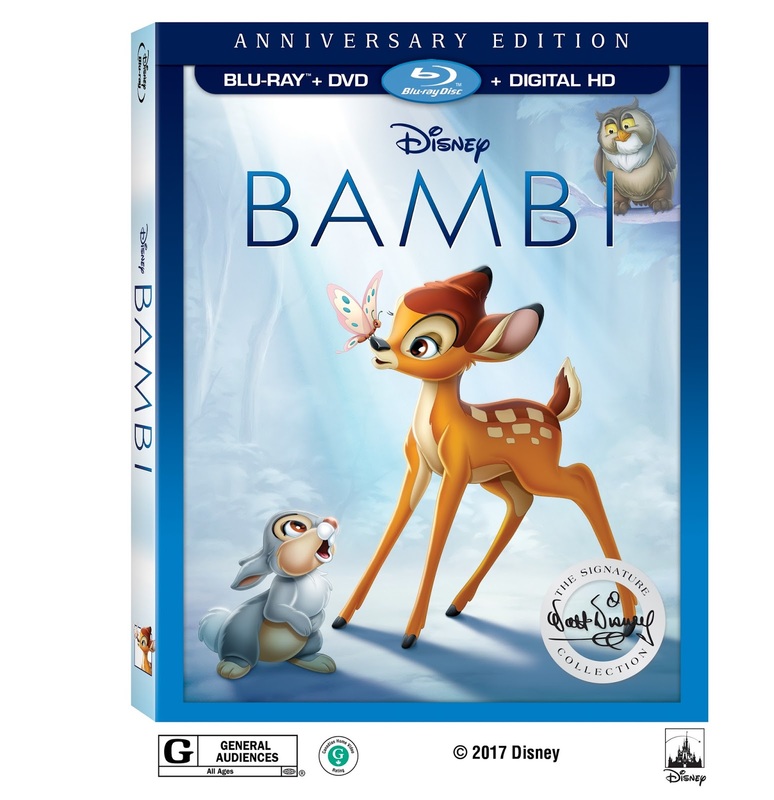 You can purchase the 75th anniversary Walt Disney Signature collection Bambi on Digital HD May 23rd at Disney Movies Anywhere and on Blu-ray June 6th buy in store or online at Amazon! What an amazing experience for you. I think the Battle Commander being Bambi is hysterical. I'm sure he would have taken some ribbing but then it would have been good from there. 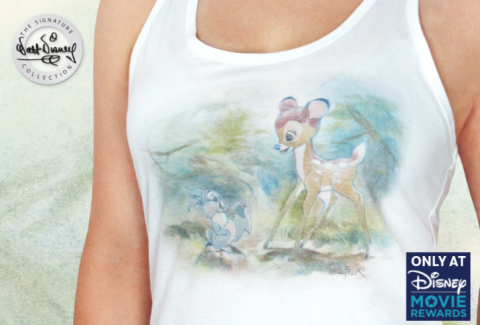 I was always a big fan of Bambi, I had the movie and the book, and now I totally need this tank top! I am not a big Disney person so haven't seen Bambi but I know a lot of people who have and would love this. This looks like a really great experience and the tank is cute. What a fun experience! I cannot believe that it is the 75th Anniversary of Bambi! We will have to pick up the anniversary collection version so I can share it with my kiddos! I remember watching Bambi’s movie for the first time. I have fond memories with this Disney Character. Oh wow. Thanks for letting me know about this. I loved Bambi as a child, and I would like to share this big part of my childhood with my own children. I am going to get a copy! Looks like it was such a fun time there. I know I would have loved to have picked the brain of one of the animators of Bambi. Anyone of the Disney animators it would have been fun to hear from. And I will definitely be picking up Bambi on Blu Ray. How wonderful to meet the men (boys) who were the voices behind Bambi and Thumper! I loved the movie when I was a kid and I can't wait to see it again on HD. Thanks for letting me know. Bambi was one of my childhood's favorite movies of all time. I love the storyline and I remember watching it again and again as a child. Bambi was always one of the more sad Disney movies I've seen. I haven't actually watched it since I was a little kid because it's so sad. Bambi was one of my favorite childhood movies! Looks like you had an amazing experience meeting the original actors and learning more about the animation! It looks like you had an amazing time on this trip. Bambi was always one of my favorite Disney movies even though it breaks my heart too. Wow I love learning about historical moments and places. This inside look at Disney's past must have been amazing! Wow, this would be amazing to experience and tour! I love hearing the stories on how the movie came together. I find it interesting that they had live "models" for the cartoon characters. This movie is one of my all time favorites! Wow what an absolutely amazing experience this must have been! Have always loved Bambi and this inspired me to re-watch the movie :)! I've always been a fan of Bambi and is one of my all time favorite childhood Disney movies. I can't believe it's the 75th anniversary. I'll have to go pick one up! This was so fun to read! What a fun experience! I would absolutely love to be in Walt's office! Thank you for sharing your photos of it. This had to be an amazing experience for all of you. I would love to get one of the tank tops with Bambi on it. Bambi has always been one of my favorite Disney characters since I was a little girl. Thanks for sharing this awesome experience. Bambi is just a classic. I remember watching Bambi and crying. I hated what happened to Bambi's mother. It's just an emotional movie but a wonderful classic at the same time.